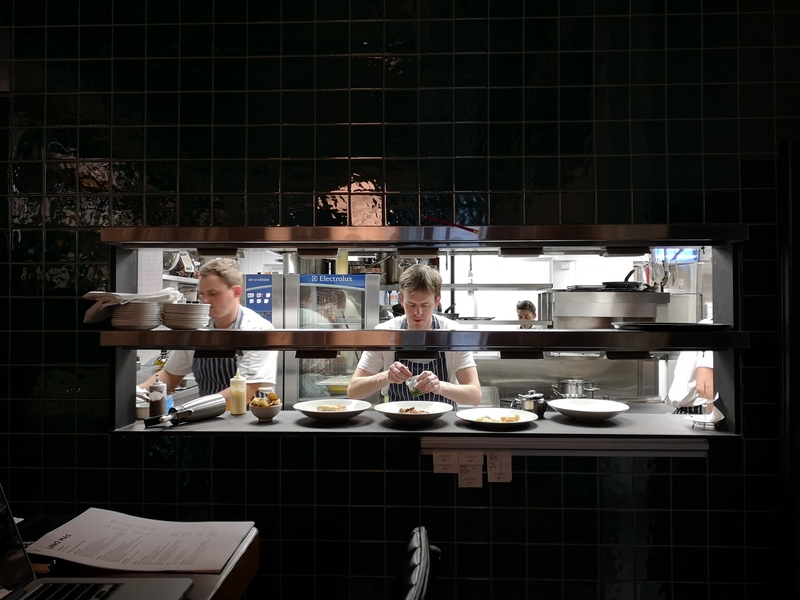 Uno Mas, the long-awaited restaurant from Liz Matthews and Simon Barrett (Etto) and Paul McNamara (Locks) opened on Aungier Street last Friday. 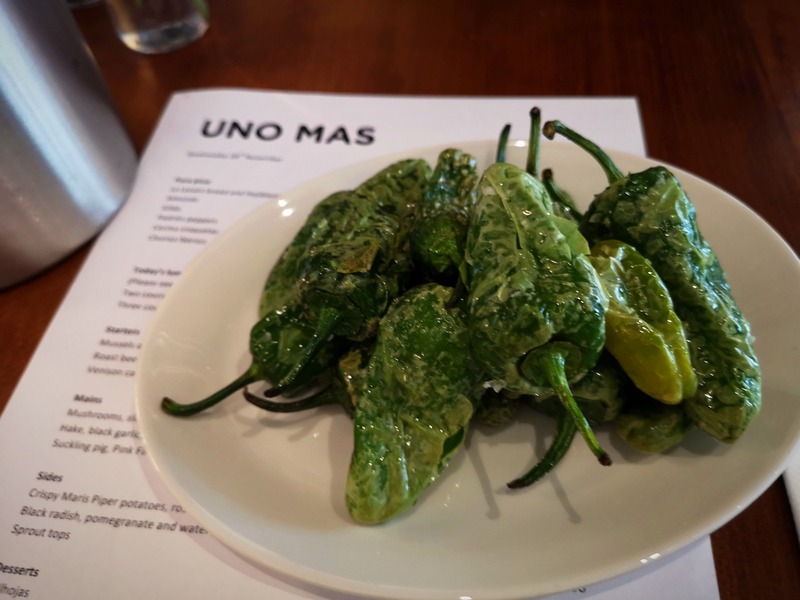 Uno Mas, meaning 'one more', has a predominantly Spanish theme, and the team have spent the large year making research trips to Madrid and Galicia to get inspiration for the menu and wine list. 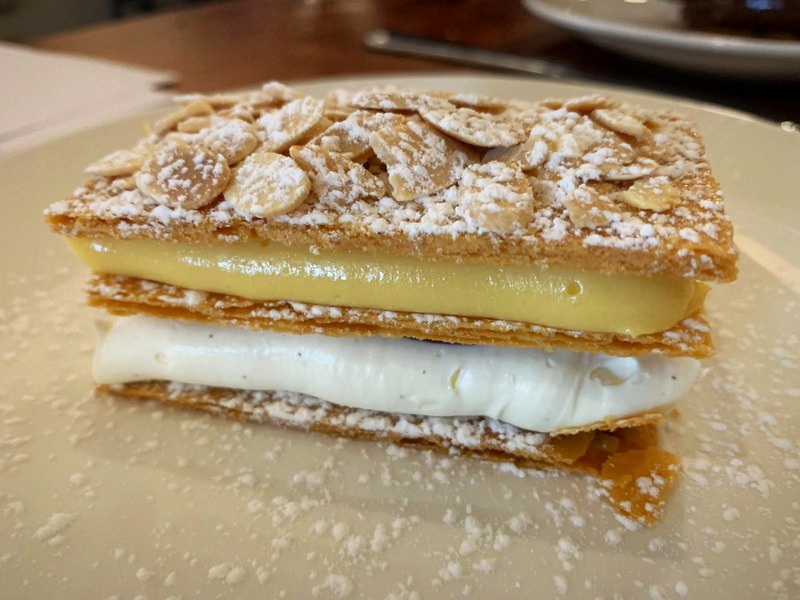 Similar to Etto, there's a two or three course lunch option, and an á la carte menu in the evening. 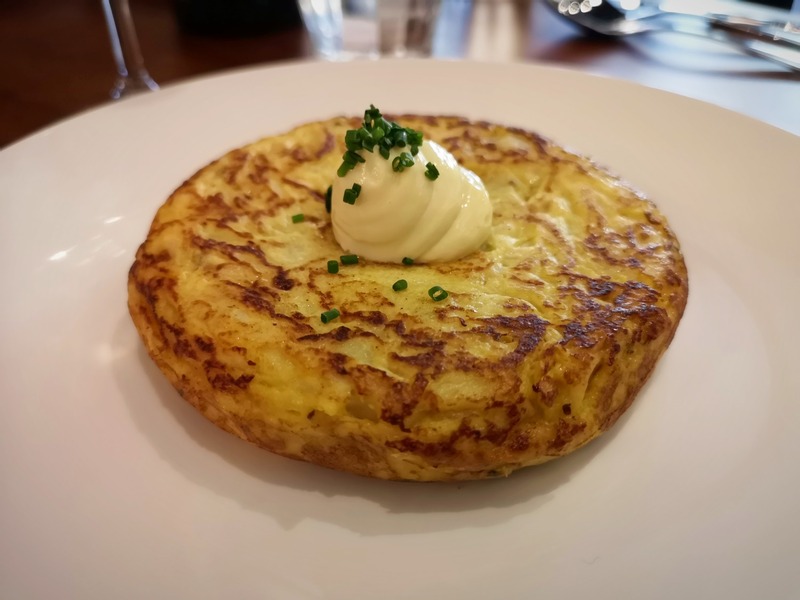 The menu will change regularly, but features traditionally Spanish things like gildas, jamon iberico, padron peppers, croquettas (with cecina - smoked beef), and the best tortilla we've tasted in years. There's also a bit of Irishness going on, with dishes like venison carpaccio, pickled walnut, treviso and horseradish, and suckling pig with pink fir apple, potato and parsnip. 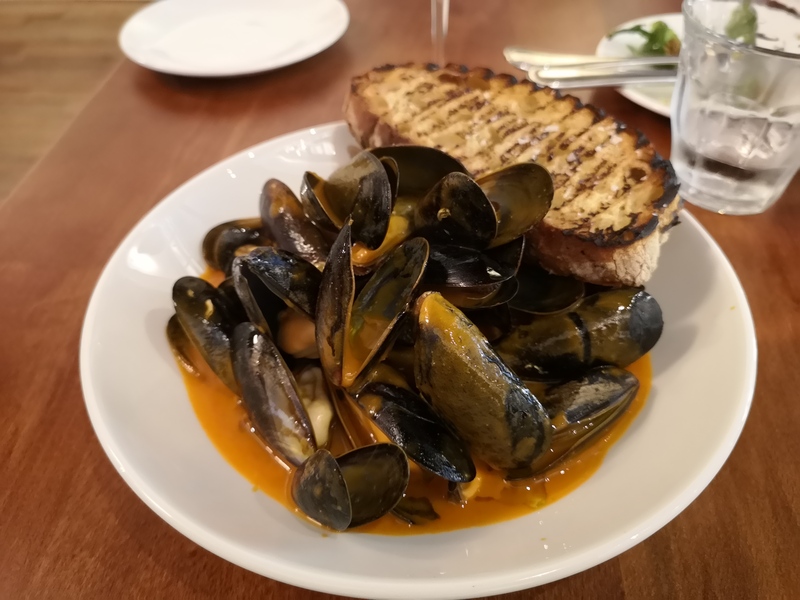 There are nods to Etto too (which was named RAI restaurant of the year 2018), with their much-loved mussels and nduja with chargrilled bread getting a makeover and popping up here as mussles with rojo mojo. There's also a Delmonico ribeye with Bordelaise sauce for two, similar to Etto's côte de boeuf, and they've done something very clever with a dessert of 'milhojas', by adding a layer of red wine prune juice to it. Anyone who's been to Etto will know that their signature dessert is a bowl of red wine marinated prunes with mascarpone - now the leftover juice will come to Uno Mas. 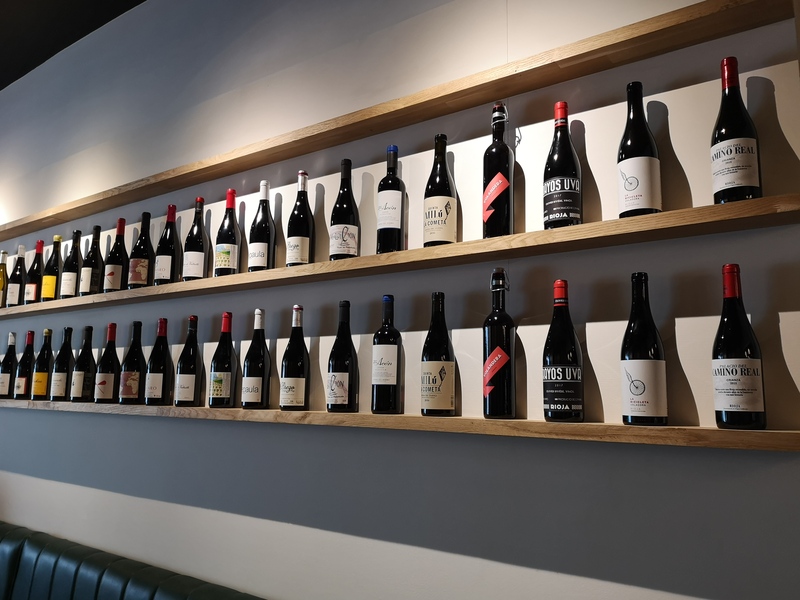 There's an extensive, mostly Spanish wine list, with a sizeable amount of sherries, and vermouth on tap. The impressive hand-made wooden bar is officially the best bar seating in town (more of this please), and the two-seater alcove opposite it is going to be the table in demand, so get your requests in early. Uno Mas is open now for lunch and dinner from Monday to Saturday. Their website isn't live yet, but bookings can be made by emailing [email protected] or calling 01 4758538. Get in fast as this one is going to go crazy.